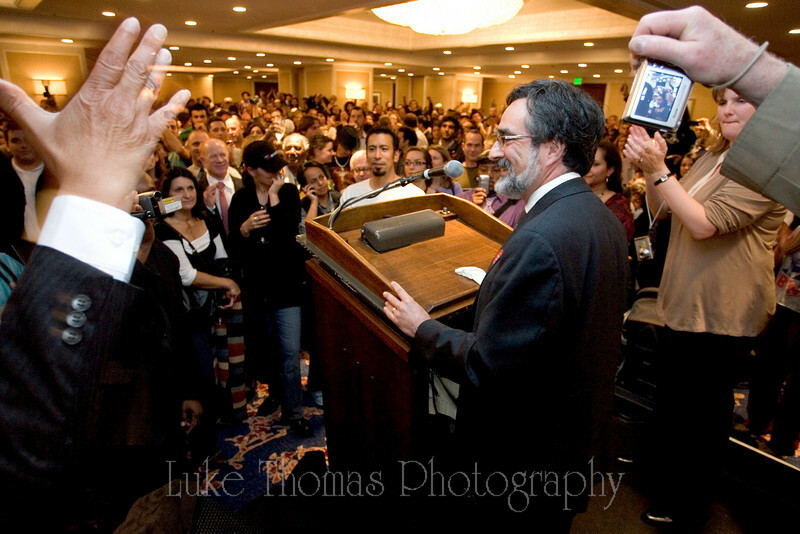 Photos from California Democratic Party election night party at the Saint Francis Hotel in SF. Sen. Barack Obama has just won the presidential election. There are also pics from the campaign parties of Eric Quezada, John Avalos and Eric Mar, 11/04/08.